The Jumpman’s recent propensity for dropping special kids-only Air Jordan 12s is rolling right along from summer into fall. After both “Rush Pink” and “Light Aqua” colorways for the smaller sneakerheads came to market over the past few months, a new “Desert Sand” colorway of the shoe Michael Jordan won his fifth NBA championship in is now set to release this November. A paneled white leather upper with tonal stitching provides the base for bold purple accents, which appear on the mudguard, top two eyelets, and heel tab — as well as the majority of the midsole and outsole. An interesting mix of textures is present as well: the mudugard features a woven look, while the midsole opts for a pebbled design and bright reflective chrome adorns the eyelets. 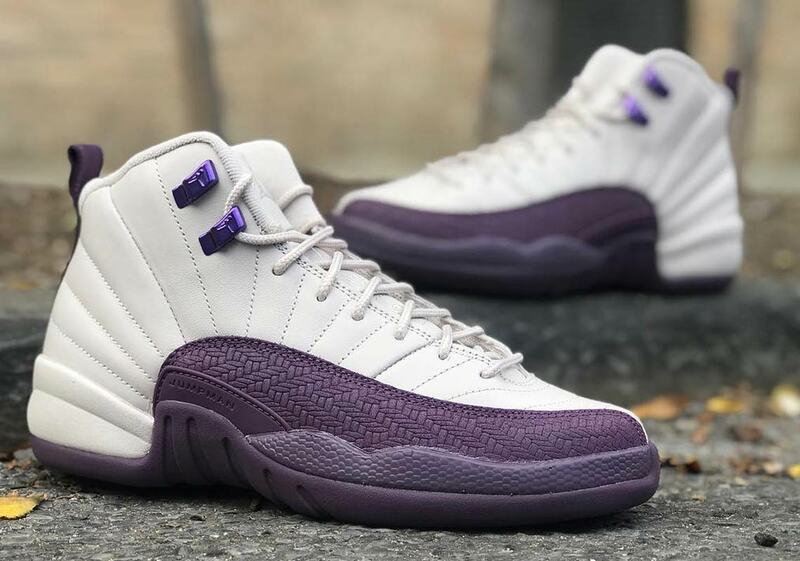 If the success of past releases is any benchmark, these AJ12s will be extremely popular among the small foot set — so get a first look at the new kicks above and prepare for their official release on November 17th. Jordan Brand’s also got a lot more coming this Fall in both grade school and adult sizes, so be sure to stay tuned to our Jordan Release Dates page for all the info and updates you need.